​We use a research-driven, operationally-focused, disciplined approach, integrating primary, secondary and co-investments. We have a demonstrated commitment to impact investing. Mbuyu's founding partner is co-founder and chairman of EFTA (www.efta.co.tz), a Tanzanian SME leasing business, founded 10 years ago, and one of Africa's earliest impact enterprises. The Mbuyu partners bring over 50 years of institutional asset management experience, having been responsible for over a combined $7.5 billion of assets. Michiel has 19 years institutional asset management experience. He was most recently MD and CIO of Ignis Advisors, a $3.5bn institutional alternative investment business. Michiel is co-founder & chair of EFTA, a Tanzanian SME equipment leasing company. He is also NED and IC chairman of LAFCo, a pan-African SME agribusiness lender and a former NED and IC member of AgdevCo, an African agribusiness investment company. 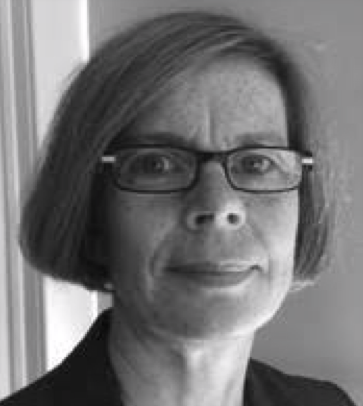 Marleen has over 30 years experience in financial services, including 20 years in private equity. She was the principal founder and CEO of a $2bn PE secondaries fund investment business and senior advisor to a $100bn private markets firm. Marleen is also active in African impact investing. David has 19 years institutional asset management experience. Before joining Mbuyu, David was Head of PE and RE at Ignis Advisors, responsible for a $1bn portfolio. Previously, he was responsible for a $2bn global equity sector portfolio at the largest Dutch pension fund as well as $2.5bn US equity portfolio manager at a Dutch insurer. Ed has 13 years experience in credit analysis and investment, most recently as Investment Director at Sisu Capital, investing in developed and emerging markets. Ed spent the last two years before joining Mbuyu Capital providing private equity advisory services in Myanmar. Afzal is a former operating partner at a $9bn private equity firm, where he was CEO/CFO for fintech, renewable energy and technology companies in Europe and the Middle East. He was also a PE investor in Africa and the Middle East for a Saudi family office. Morwenna is the former VP, Strategic Accounts at The Rubicon Project, responsible for advertising strategy for the company's major clients and management of delivery for this NASDAQ-listed media tech company. Georgina is the firm's Chief Operating and Compliance Officer. Georgina previously acted in a number of senior governance, company secretarial and finance roles. Georgina is supported by two finance and administration staff.